The best thing about starting your own micronation: You get to make up the rules. And in Molossia, the rule-making comes from the President, His Excellency, Kevin Baugh. 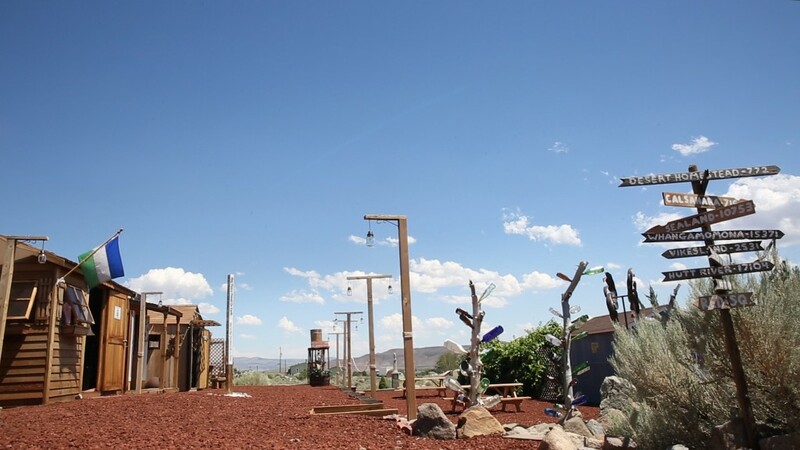 It cost Baugh just $10,000 to build Molossia, which sits on 1.3 acres about an hour outside of Reno, Nevada. It's a tourist attraction with its own bank (with its own currency that you buy with U.S. dollars) and general store. It's kind of a joke, but also kind of real. There are about 200 so-called micronations in the world, though they are recognized only by other other micronations, not any other country. There's no official designation, just a collection of others that deem you legitimate. Still, when you live in Molossia, the rules are real. 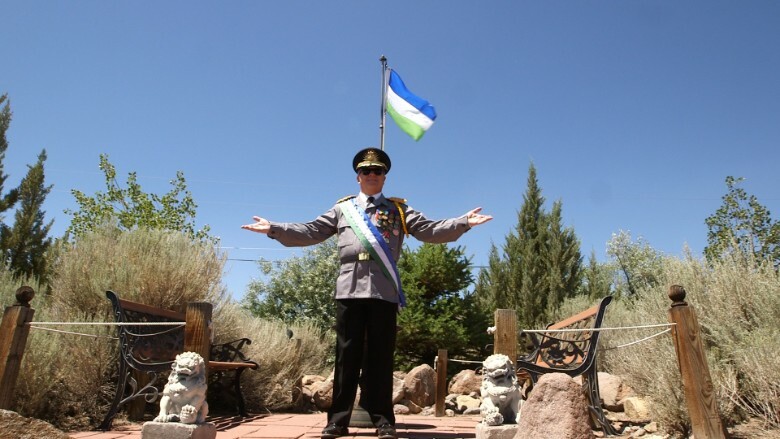 Molossia is a dictatorship, but according to Baugh, it's important to be an honest dictator. "I kind of rule with an iron fist. Not really, actually. I'm kind of a nice dictator. Velvet glove," Baugh said. He said he often consults with the First Lady of Molossia (his wife, Adrianne), and the Chief Constable (his 11-year old daughter, Alexis). But in the end, what he says goes. The following items are not allowed in Molossia: Spinach, tobacco, torpedoes, playing processional instruments in the bathroom, and catfish. "Catfish are banned because we were going to be in a magazine called FHM which is kind of like Maxim magazine," said Baugh. "They were going to publish an article about Molossia and instead they bumped it for an article about guys that catch catfish with their hands." It's important to look the part. Baugh is always in black pants, a naval jacket adorned with medals, sunglasses, and an official hat. He wears this official uniform when he has visitors and also when he travels on behalf of Molossia. "You will gain respect from your peers and gain greater standing in the micronational world." Molossia's national food is cookie dough. The national delicacy is honored at Cookie Dough Fest, where "Molossians eat copious amounts of cookie dough and watch (usually bad) scary movies." The Republic of Molossia has 25 holidays. There's Jack Day on February 4, in honor of the former First Dog. And, of course, no micronation would be complete without President's day. "It's actually celebrated as many times as possible during July, culminating with a trip to the Olive Garden, on or about July 30th." That's His Excellency's birthday.